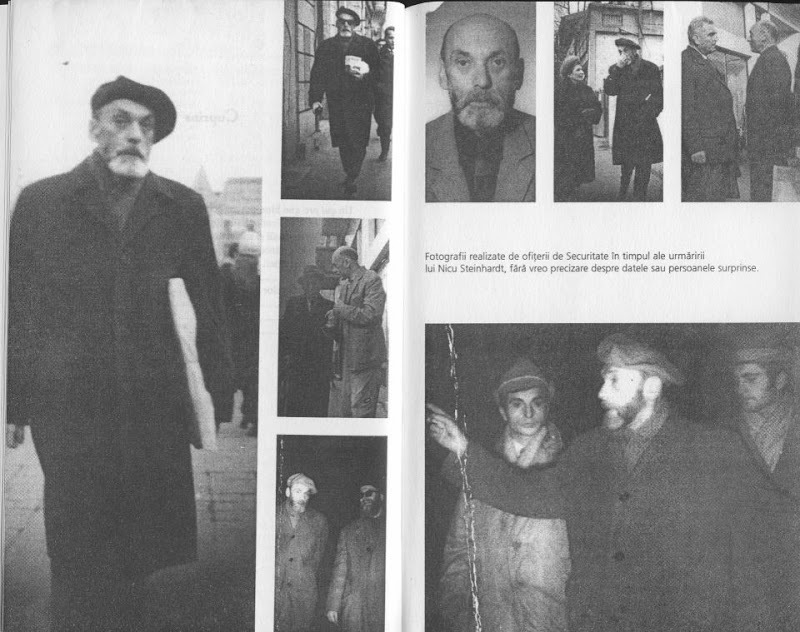 Nicolae Steinhardt (July 12, 1912 - March 29, 1989) was a Romanian writer, Orthodox hermit and father confessor. He was born in Pantelimon commune, near Bucharest, from a Jewish father and a Romanian mother. His father was an engineer, architect and decorated World War I participant (following the Battle of Mărăşti). Due to his lineage from his father side, he was to be subject to anti-semitic discrimination during the fascist governments of World War II Romania. Between 1919 and 1929, he attended Spiru Haret primary school and college in Bucharest, where, despite his background, he was taught Religion by a Christian priest. His talent for writing was first noticed when he joined the Sburătorul literary circle. In 1934, he took his license diploma from the Law and Literature School of the University of Bucharest. Under the pseudonym Antisthius, one of La Bruyères Caractères, he published his first volume, the parodic novel În genul lui Cioran, Noica, Eliade... ("In the Manner of Cioran, Noica, Eliade..."). In 1936, he took his PhD in Constitutional Law, and between 1937 and 1938, he traveled to Switzerland, Austria, France and England. In 1939 Steinhardt worked as an editor for Revista Fundaţiilor Regale (a government-sponsored literary magazine), losing his job between 1940 and 1944, during the ethnic cleansing under the Iron Guard regime (the National Legionary State) and the Ion Antonescu one. Despite his problems with the latter, he would forgive Antonescu, and even praise him for allegedly having saved several hundred thousands Jews (which he claimed had occurred after a face-to-face debate with Adolf Hitler at Berchtesgaden). In 1944 he was reinstated at the Revista Fundaţiilor Regale, and held his job until 1948, when King Michael I was forced to abdicate by the Communist Party of Romania. 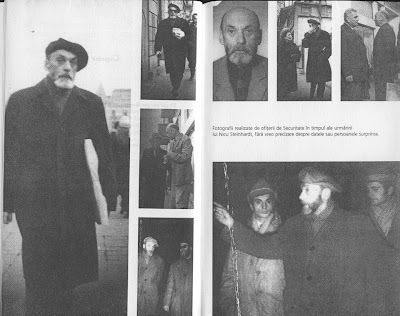 From 1948 until 1959, he witnessed a new period of deprivation, this time from the Romanian Communist regime - when non-communist intellectuals were deemed "enemies of the people". In 1959, during the kangaroo court trial of his former school colleague Constantin Noica, he refused to take part as a witness against him. As a consequence, he was accused of "crimes of conspiracy against social order", he was included in the "batch of mystical-Iron Guardist intellectuals", and sentenced to thirteen years of forced labor, in gulag-like prisons. He would serve his penalty at Jilava, Gherla, Aiud and other communist jails. 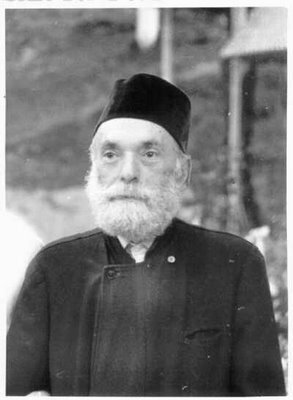 While in prison, he was baptized Orthodox Christian, on March 15, 1960, by fellow convict Mina Dobzeu, a well known Bessarabian hermit, having as godfather Emanuel Vidraşcu, a former chief of staff and adjutant of Antonescu. Witnesses to the event were also Alexandru Paleologu, two Roman Catholic priests, two Greek-Catholic priests and a Protestant priest. He would later state that his baptism had had an "ecumenical character". This episode would be the base for his best-known and most celebrated work, the Happiness Diary. After his release in 1964, he had a successful and notable activity as translator and publisher. His first celebrated literary works, Între viaţă şi cărţi ("Between Life and Books"), and Incertitudini literare ("Literary Uncertainties") were published in 1976 and 1980, respectively. A new chapter in Steinhardt's life began in 1980, after being accepted in Rohia Monastery. He worked as the monastery’s librarian, while at the same time dedicating himself to writing. During this time, his fame as a counselor and father-confessor had grown, attracting dozens of visitors weekly to Rohia. He died at Baia Mare city hospital. His funeral, under surveillance by the Securitate, was attended by many of his close friends and admirers. The first edition was confiscated by the Securitate in 1972, and restituted in 1975, after censorship intervention. Meanwhile, he had finished writing a second version of the book, which is in its turn confiscated in 1984. In the end, Steinhardt edited several versions, one of which had reached Monica Lovinescu and Virgil Ierunca in Paris; Monica Lovinescu would later broadcast the book in a series of episodes, via Radio Free Europe.